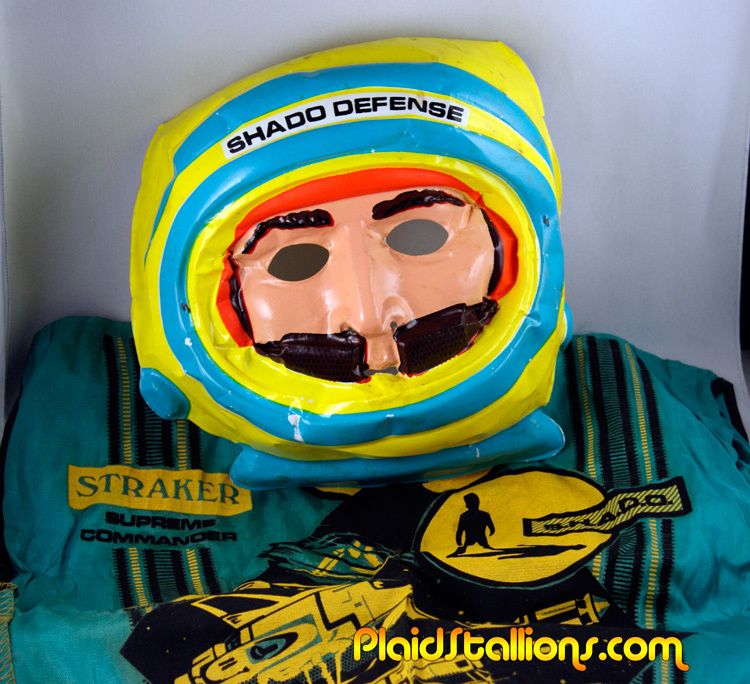 Plaid Stallions : Rambling and Reflections on '70s pop culture: Identified! 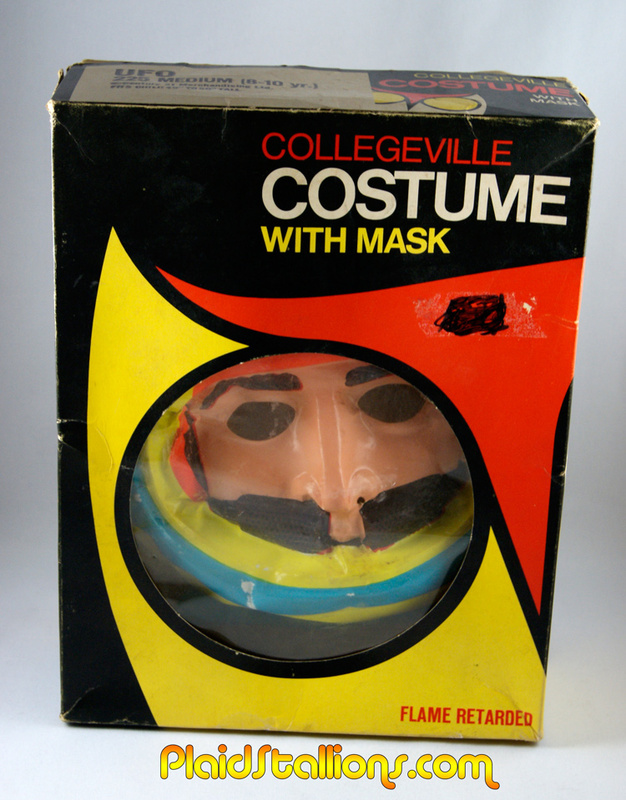 When I first posted this costume in the 1973 Collegeville Catalog three years ago, I thought it was the coolest Halloween costume I'd ever seen in my life. That's because i'm a huge fan of Gerry Anderson's UFO, the series that it was based on. UFO merchandise is pretty sparse so I consider what I own kind of special, this item really spoke to me. However, when I contacted other UFO collectors, the response was, "Wait? There's a Halloween costume?" or "Oh my God, do you have one?" which doesn't bode well. Also, google searches resulted in me being directed to my own freaking website, another dead end, cause I knew I didn't have one. 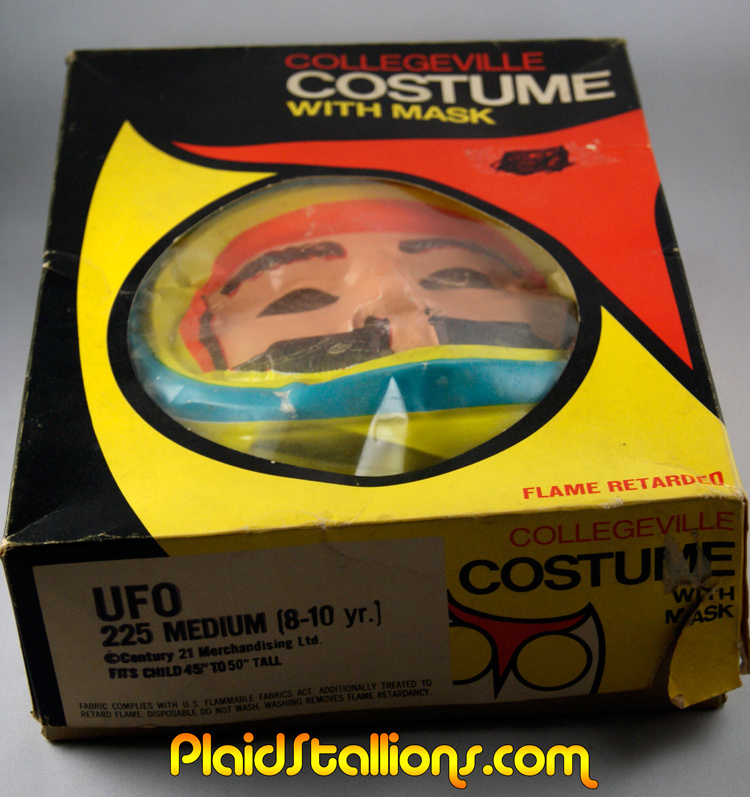 Well my luck changed three weeks ago when a kind soul emailed me saying "I have that UFO costume you want". This is the kind of thing that turns up the minute I spend every penny I have on something else. We struck a deal regardless and I threw it on plastic to let "future Brian" deal with it, he's an idiot. Wow. I had no idea this existed. I can still remember my surprise at seeing the Thermos UFO lunchbox on the store shelf when it came out. 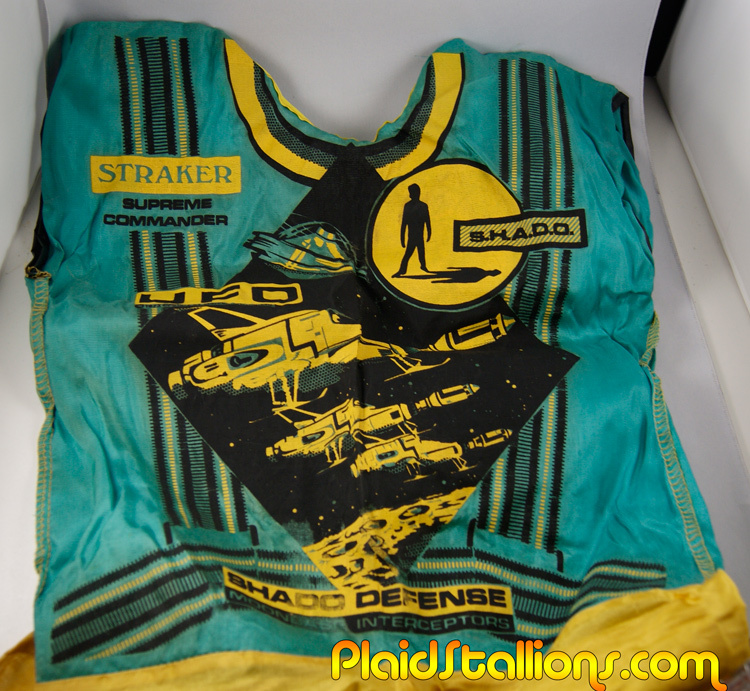 That lunchbox, the Viewmaster reels, the Dinky Interceptor and SHADO Mobile, and two paperback books (published here only after the show had ended, I think) were all the UFO-related merchandise I ever saw in the US. Learning there was even one other item available back then amazes me. Congrats on finally getting it! Yeah, congratulations. Those helmet microphones kind of make it look like he's got a mustache though. I was going to say the same thing about the mustache-looking microphones. Plus, how can you tell it's Ed Straker if you can't see his groovy white hair? Note that the costume is "FLAME RETARDED." Did you know they made a halloween costume of Morgan Freeman as Easy Reader from Electric Company. For my money it doesn't get cooler than that!